So I went grocery shopping with my friend and I found some fish. I don’t know which of you like fish, but I do. Although, I don’t eat more than 12oz per week; which are the doctor’s general recommendations. I love a good fish stew for a lot of reasons. Although I roast my fish before use now, I remember my mother and aunt frying some fish and using the oil used in frying the fish for a tomato based stew…Oh Father GOD! These days due to #Fitfam and healthy eating specifications, I do not fry most things. 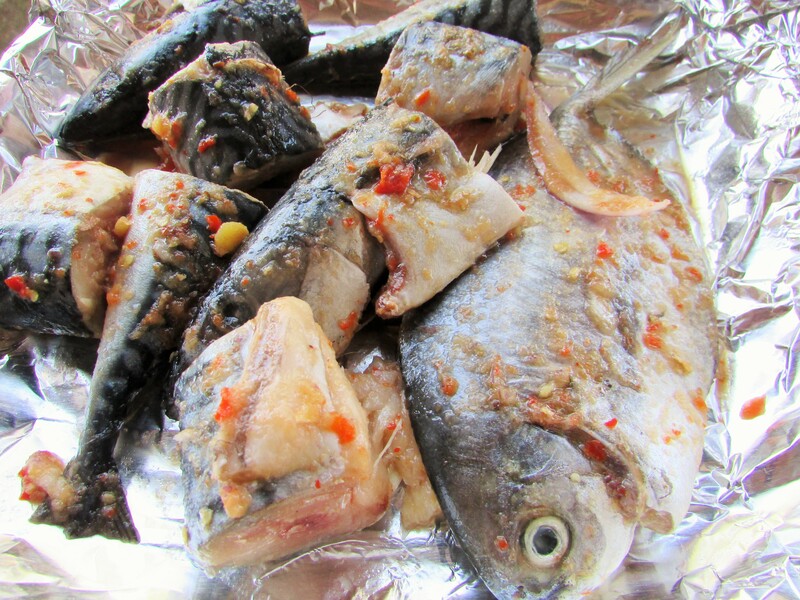 This fish stew brings nostalgic feelings of my childhood. Feelings of every Sunday rice and stew. We used to go to the fish or meat market almost every Sunday for stew ingredients and for some strange reason our Sunday stew took for ever to cook. Now, it takes me about 25-30minutes and 10 minutes of prep time…For my seasoning, I never cook this stew with too many seasonings. The simple, the better. 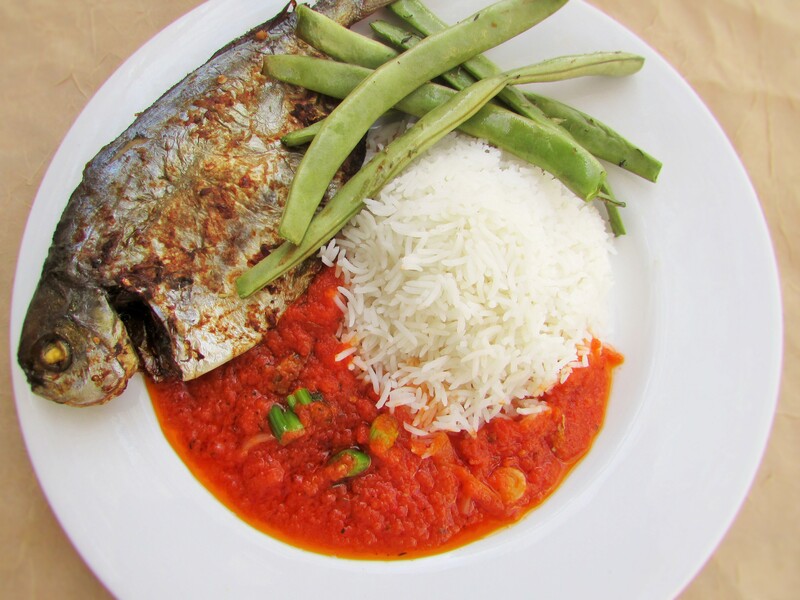 You may eat this fish stew with anything from bread, to yam and rice; even potatoes. In a stew pot, heat up the oil and thinly slice in the other half of the onion along with the shallots. Sauté until translucent and slightly brown, then pour in your tomato and pepper blend. Drop in your whole chili/ata-rodo pepper and fry the stew on medium heat, leaving the pot slightly covered. Let the tomato fry until the oil floats to the top; then season with salt, thyme and some meat stock(do not put too much meat stock in order to prevent a watery stew). Stir and let the stew cook once more until the oil floats to the top. Check for seasonings, add some Knorr if needed. 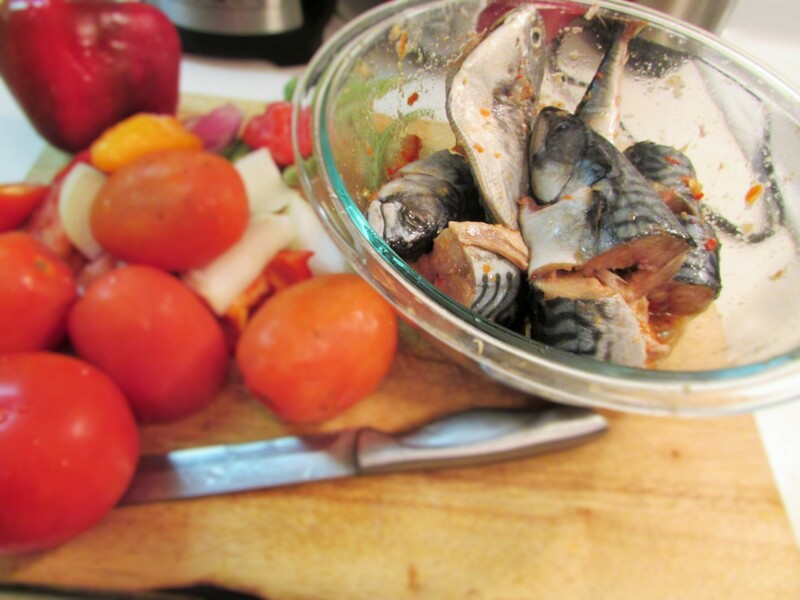 Add your Mackerel and reduce the heat to low. Slightly cover once again and let the stew cook for another 3-6 minutes or until the stew has seeped into the fish and you see the oil has risen to the top...set aside and serve. 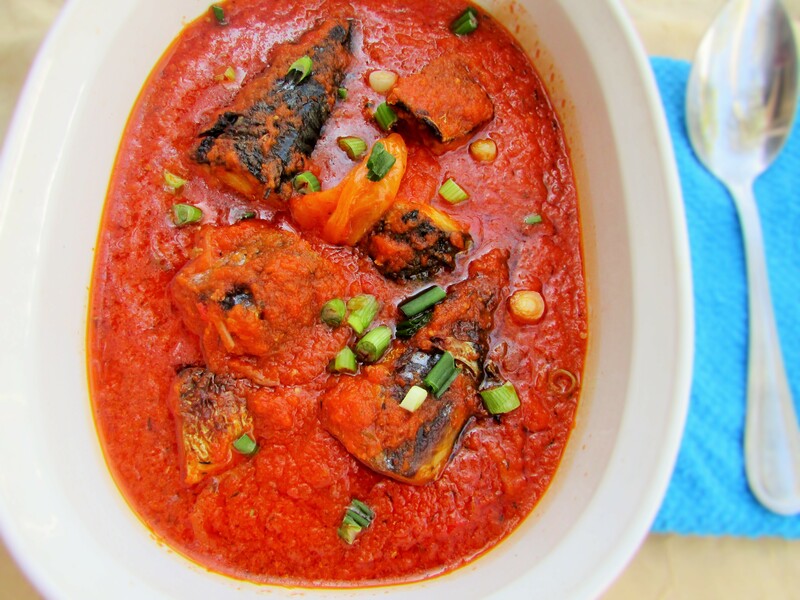 This entry was posted in Uncategorized and tagged fish stew, fish stew recipe, how to make fish stew, How to make Nigerian fish stew, Nigerian fish stew, Nigerian fish stew recipe.